There are myriad things to look forward to when the seasons shift from summer to fall: pumpkin spice lattes, a brisk chill in the air, no more humidity so thick it could hug you. But for those who worship at the altar of fashion, the best part about welcoming autumn is watching fashion-forward celebrities segue into fall style. Well, that and realizing it’s almost baggy-sweater and leather boot season! Of course, some celebs simply stand out. 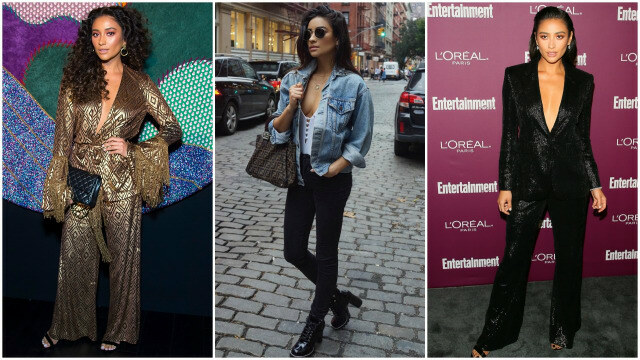 We’ve rounded up 10 stars whose knack for nailing fall fashion inspires the rest of us. Is it really any wonder everyone’s favorite NYC girl would be on this list? SJP has been hitting on tons of fall trends — like, for example, mid-length “ballet beautiful” skirts (à la the runways of Dior, Loewe and Victoria Beckham), lace accented pieces (à la the runways of Louis Vuitton, Stella McCartney and Olivier Theyskens) and fringe, which brought playfulness to many collections during NYFW. 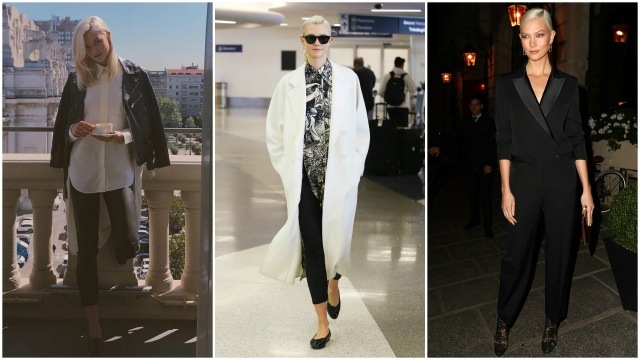 Menswear is a major fall 2017 fashion trend, and few do it better than supermodel Karlie Kloss. She keeps it simple and chic, often with a black and white scheme. And since she routinely incorporates leather into her look, she also nails the Matrix-esque leather-clad vibe featured on the runways of designers like Bottega Veneta and Jil Sander. Could this Quantico star be any more stunning? Her fall look is both fashion-forward and fun, featuring trends such as feather gowns, deconstructed trench coats and winter florals — as seen on the runways of Calvin Klein, Junya Watanabe and Marni, respectively. Zendaya is pretty much #FashionGoals every season, and her wardrobe as of late proves fall will be no different. She played up the big fringe trend by rocking a fringed gown in deep fall hues. She rocked a menswear-inspired jumpsuit and she paired a skirt in shiny silver (a trend that popped up in shows by Saint Laurent, Comme des Garçons and Christopher Kane) with perfect autumnal pops of orange and purple. If you aren’t following Jamie Chung on Instagram, get on it, people — Chung rules in the sartorial realm. From lace-accented peekaboo pieces to menswear to winter florals, she knows how to mix fall trends in a way that feels both approachable and progressive. All hail Queen Bey! We all know Beyoncé can do it all, and that includes bringing us all major fall fashion eye candy. Since autumn started creeping in, Bey’s style has been a steady rotation of top trends like rich jewel tones, subtle animal print and — one of our personal favorites — a luxe spin on athleisure wear. It’s official — Mandy Moore is America’s new sweetheart! 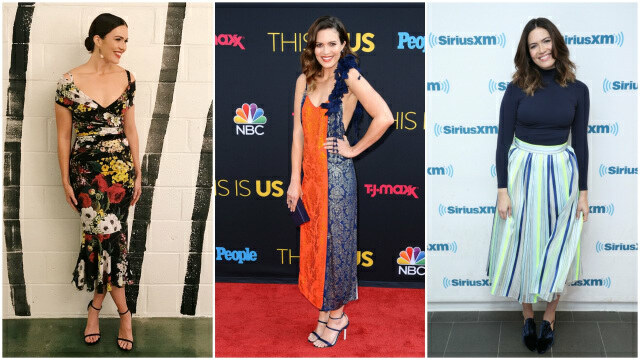 The This Is Us star charms during interviews and red carpet appearances with her lovely personality and her sartorial choices. In addition to nailing trends like feather accents and mid-length skirts, the fashion darling perfectly pulls off the kind of winter florals seen on the runways of Prada and Valentino. If you’re looking for a celebrity to model your life after, look no further than Pretty Little Liars‘ Shay Mitchell. The star is just as adventurous with her fashion as she is in her everyday life, and that’s saying a lot — she’s gone skydiving and dreams of swimming with sharks. She’s already standing out this fall with fashion that incorporates trends like menswear-inspired, leather-clad and denim (hooray for jean jackets being fashionable again!). When she isn’t off adorably hiding literature by feminist authors for strangers to find, Beauty and the Beast’s Emma Watson stays busy looking downright arresting in the latest fall fashions. Winter florals? Check. Menswear-inspired? Check. Streaks of silver? Check. And because she is a truly stellar human being, Watson has been touting sustainable fashion designers. 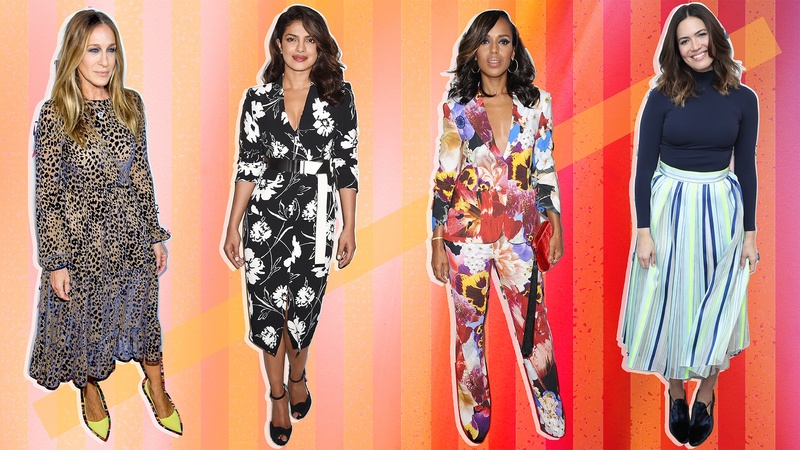 It’s safe to say Kerry Washington is a fashion gladiator, because the Scandal star is straight-up slaying fall so far. In the first look featured here, she pairs plaid (seen on the runways of Balenciaga and Jason Wu) with power red (seen on the runways of The Row and Max Mara). In the second two looks, she proves she is a goddess of winter florals. Bonus? Her third look also plays into the pantsuit nation trend. Get it, Kerry!